Take the challenge out of running the operational side of your legal business with our Solutions. Gain a complete picture of your legal workflow and insights into the markets in which you operate. Our tools help to simplify processes and transform your team. Legal Tracker gives you visibility of your entire legal department’s operations with one scalable solution. Our flagship product boasts a 100% customer retention rate for corporations across Australia. More than just a billing platform, Legal Tracker operates as a workspace for your team and external counsel to manage matters, documents and e-billing. 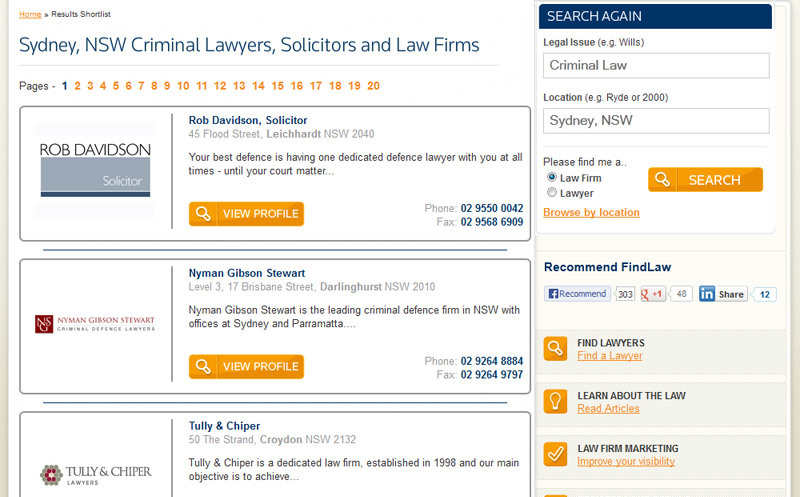 Located in FindLaw's Lawyer Directory, Enhanced Listings gives a complete overview of your practice, reinforces your reputation, highlights your expertise and maximises your visibility in front of potential clients. Providing permanent top placements, Top Spots allow you to target prospective clients by practice area. That means you're one of the first law firms people see as they search for a lawyer. 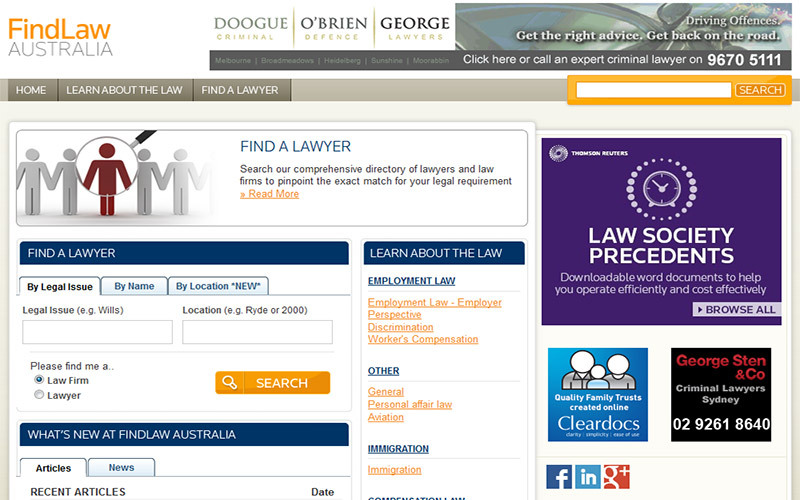 With an advertisement on the Findlaw home page you'll get your brand in front of more than 100,000 qualified people that visit FindLaw.com.au every month searching for legal help. Connect 4 gives you market knowledge instantly so that you can lead your legal business with confidence. Our tool categorises and extracts key information from the Australian Stock Exchange so you can track and analyse takeovers, mergers, capital raisings, and be market ready. 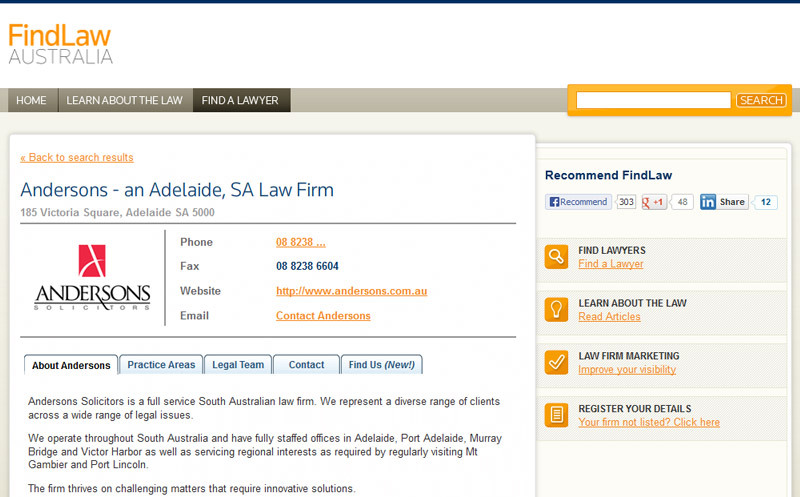 Peer Monitor helps law firm leaders run their business based on reliable competitive intelligence. Accurate, real-time financial benchmarks show how a firm is performing against a specific set of peers in critical areas. In an era of rapid change, change fatigue – the physical and psychological responses to organisational change – can have a devastating impact on your team and the wider organisation. This whitepaper examines the ways in which you can successfully implement change programs, and new technologies or new processes, without losing valuable team members along the journey. Interested in our Operations Management Solutions?